When tunnelling using a slurry shield tunnel boring machine (slurry shield TBM), the tunnel face stability is significantly influenced by the filter cake formation during slurry injection to the chamber. In order to study slurry penetration behavior in highly permeable ground, comprehensive slurry injection tests were performed by varying the particle size distribution of the ground, the bentonite content and viscosity, and the slurry injection pressure. According to the results of these tests, the slurry penetration behavior could be classified into three types: Type A, denoting negligible slurry penetration; Type C, denoting excessive penetration; and Type B, denoting in-between penetration. Slurry clogging criteria (SCC) were proposed to classify these three types. The main superiority of the proposed SCC is that it can consider the grain size distribution of the ground, the characteristics of the slurry, and the slurry injection pressure together when assessing the penetration characteristics. 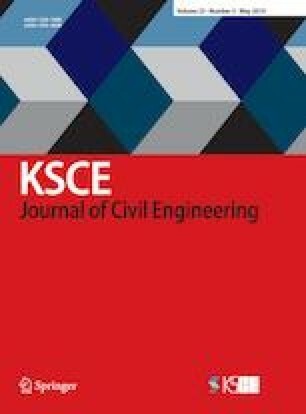 The SCC value can either be obtained by performing a simple slurry penetration test; or it can be theoretically estimated by using the regression equation proposed in this paper.